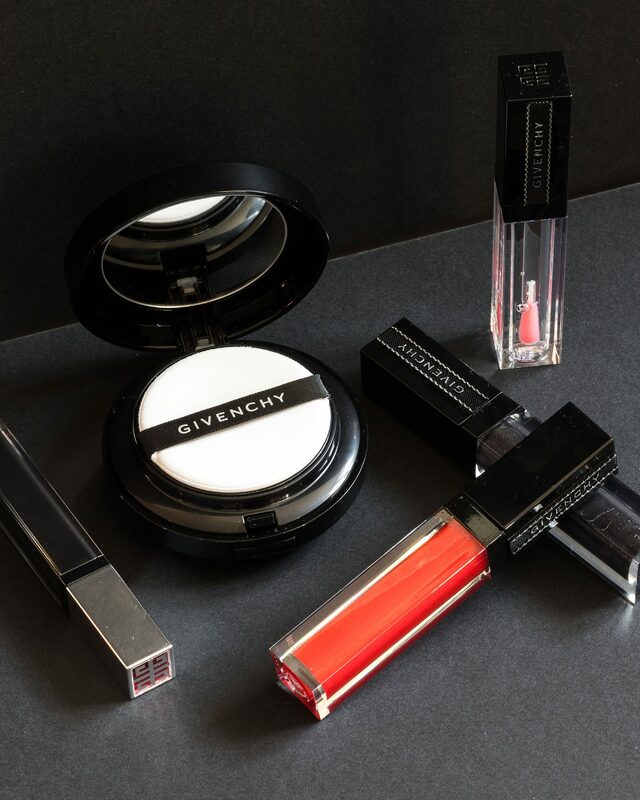 As you already might know, Givenchy beauty is one of my favourite makeup brands. I’m very happy with every product I’ve had and I even got some more for this fall. Today I want to show you some of my new goodies and explain what they are all about. I especially love their lipsticks, they last very long and hydrate my lips a lot. That’s why I’m gonna start introducing them. 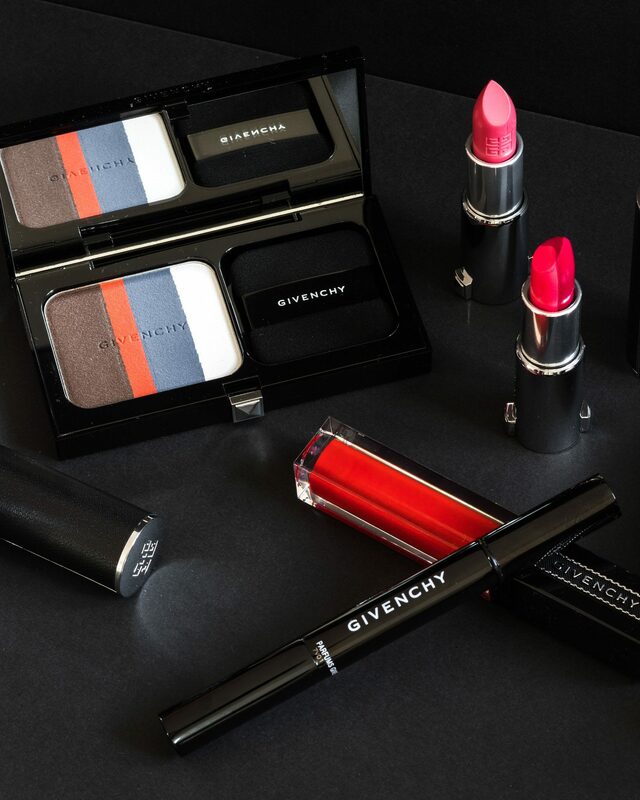 Le Rouge is the most popular lipstick line of Givenchy. 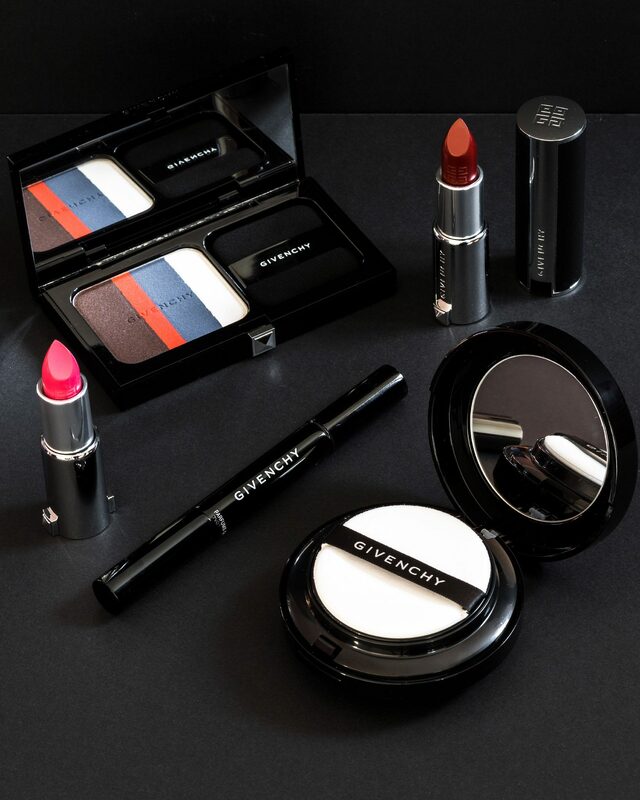 It’s an intense, pigment rich lipstick characterised by long lasting, but light and comfortable to wear. Their sleek leather case makes them easy to find even in the biggest purses. In this picture you can see my four new colours. 1. 331 POURPRE DÉFILE – The darkest colour I’ve ever owned, this is my absolute favourite for this fall. 2. 03 SCULPT’IN FUCHSIA – two tone lipstick, to create a one-of-a-kind lipstick that sculpts and defines. With fuchsia and pink shades, this is gonna be for sure my favourite for special colourful occasions. 3. 216 ROSE GRAPHIQUE – even though I got it for this fall, I’m definitely saving it for the next Spring Summer season. It looks adorable with a natural make up and summer light colours. 4. 325 ROUGE FETICHE – There is no wrong season to wear red lipstick. 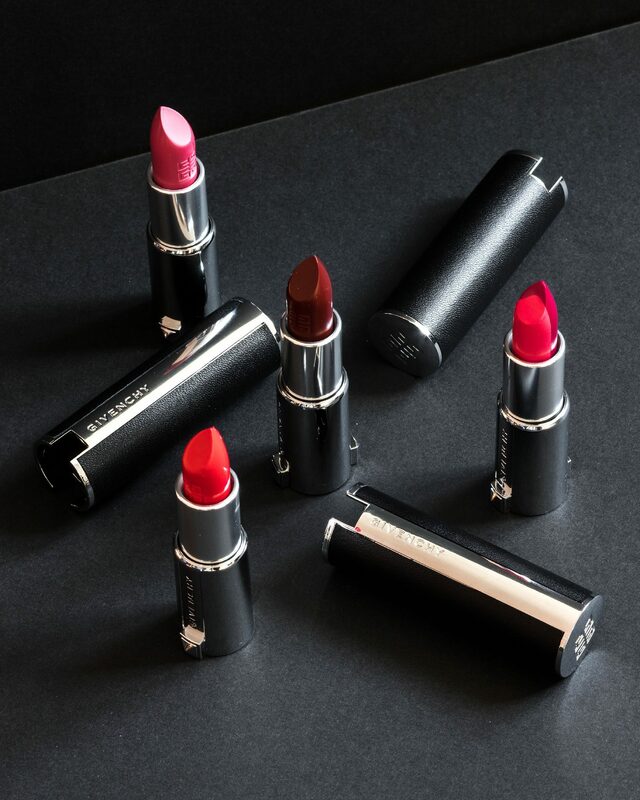 Perfect for every night out, this red lipstick became my favourite to complete my makeup when I have special occasions or events. 1. 12 ROUGE INTERDIT VINYL – ROUGE THRILLER – beautiful red colour gloss, that I personally wear without any lipstick, because it has quite intense colour already. 2. 16 GLOSS INTERDIT RÉVÉLATEUR – NOIR RÉVÉLATEUR – this gloss is dark, almost black and it’s perfect to give some contrast to your makeup. 3. 01 GLOSS INTERDIT RÉVÉLATEUR – ROSE RÉVÉLATEUR – It’s a transparent gloss, perfect to apply on lipstick, it gives very beautiful shiny effect and smells delicious!! One of the products you see in the pictures above is TEINT COUTURE CUSHION GLOW – this is a face highlighter. You have to apply it after foundation mostly along the areas of the face that are naturally hit by the sun. This way the skin will look perfect. Another product you can see is MISTER LIGHT GLOW – Stylo Correcteur Nacré – it’s a corrective concealer and it is absolutely perfect to hide my tiredness sometimes. Favourite product for eyes this season is, heads down, this new COUTURE ATELIER PALETTE, mat eyeshadow in four intense colours. It has dark brown, red, blue and white shades and gives a lot of options to combine and make different looks. These last three products are not released yet, but they will be very soon. This was all for today. I hope you liked my new goodies. I’ll let you know if I get something else. I never get bored when I’m playing around with my makeup and trying out new things.